The first of an irresistible New Adult series about hot teen actors by Tammara Webber, author of the New York Times-bestseller Easy. Perfect for fans of Slammed by Colleen Hoover or Breathe by Abbi Glines.Seventeen-year-old actress Emma is starring in her first major film role, opposite Hollywood It Boy Reid. The exclusive nightclubs, snapping photographers and screaming fans are a normal part of life for Reid but it's all new to Emma. The rest of the cast befriend her but Emma can't help feeling out of her depth. She's grateful to fellow actor Graham for his friendly support and thinks maybe he's interested in something more - until she sees him sneaking out of beautiful Brooke's room one night...Reid has no holds barred in his pursuit of Emma; he loves the thrill of the chase but he's also experiencing something new. 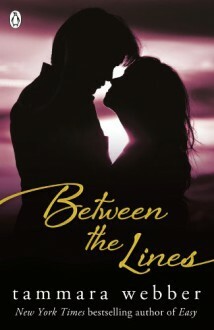 Could he be genuinely falling for his co-star?Tammara Webber is the author of New York Times and Amazon bestseller Easy and three novels in the Between the Lines series. Before becoming a full-time writer, she was an academic advisor. Tammara lives in Texas with her husband and too many cats. http://LoonyAlana.booklikes.com Crazy Bibliophile and Book Pimp (Not So Anonymous) 4.5 Movie Star YA Romance that's NOT What I Expected! text Movie Star YA Romance that's NOT What I Expected!